Garden Adventure can supply building kits to Ellerker, East Riding of Yorkshire. We offer an exciting range of garden buildings which are suitable for all kinds of application including additional storage, playroom (child or adult !) summer house or home office. 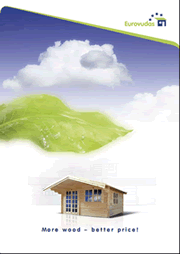 If you're looking for a garden building or log cabin kit in the Ellerker area, please call to discuss your requirements. Our experience and range is second to none and will help meet your aspirations and budget targets - call today ! Our shipping charge to Ellerker for Log Cabins is £50.00. These costings are worked out by the mileage from our warehouse in Leicester and helps maintain our competitive rates on the buildings. Do you live in East Riding of Yorkshire but can't find your town listed ? Don't panic ! We deliver our cabins throughout the UK and have happy customers from Lands End to John O'Groats!